Following the standard of sonic excellence established by the Forte®, Kurzweil and UK distributor Sound Technology Ltd are pleased to announce the new Forte SE featuring the same has astonishing sound quality, dependability and user-friendly operation. 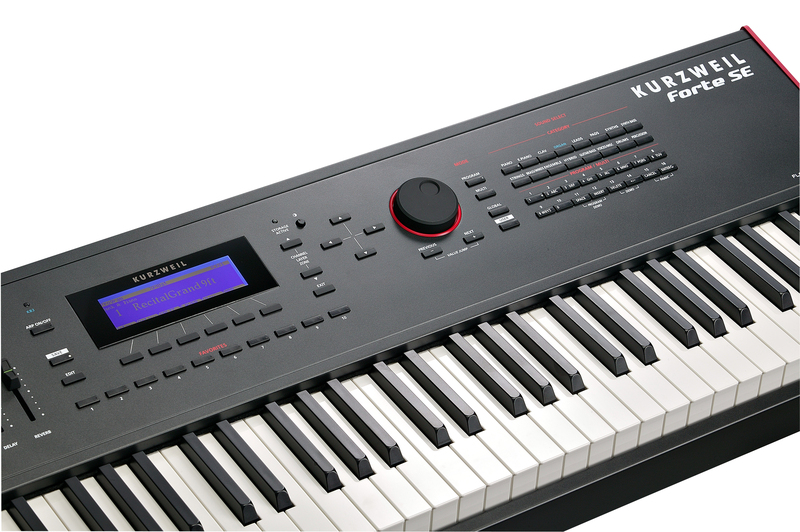 The Kurzweil Forte® SE features 2GB of sounds including the new High Definition Japanese Grand (optimised especially for the SE) and German D Grand, featuring "KSR" - Kurzweil String Resonance. Also included are a wide selection of tailored sounds from the acclaimed Forte® (EP, Clav, Celeste, Crotales, Harpsichord), as well as PC3 Series and KORE 64™ expansions - all handcrafted to deliver unprecedented expressiveness with an obsessive attention to detail. Patented Flash-Play® technology powers the Forte® SE with 2 GB of on-board sample content with zero-loading time, powerful DSP and ultrafast performance. The Forte® SE also grants full access to Kurzweil's legendary Variable Architecture Synthesis Technology directly from the front panel. With 32-layers per program, each offering its own signal path and a host of modular DSP tools, the Forte® SE offers a wealth of sound creation and modification. Every sound within the Kurzweil Forte® SE is perfectly matched to its 88-note fully-weighted Italian hammer-action keyboard with aftertouch. The front panel features a master 3-band EQ and 28 programmable physical controllers with Pitch/Modulation wheels and dedicated -/+ Transpose and sound Variation controls. The Kurzweil Forte® SE is expected to retail around £1999 inc and to ship in Q1 2016.